I believe strongly that the ability [of politicians or public figures] to retract [certain] statements is in danger of being abused. However, it’s not in the way we might generally think. I recently read an article about a former mayor of New York City. When asked about whether he’d taken marijuana or not, he was quoted saying: “You bet I did. I enjoyed it.” The former-mayor later stated in public that he regretted his comment, and that he did not advocate for the decriminalization of marijuana. To me, this image is all too much a mirror, and the modern equivalent of a public recanting during times of the Inquisition. I know that may appear like hyperbole, but bear with me for a moment. Now, I’m not writing this to discuss the moral case or take a political stance on the issue of marijuana. I’m using this particular situation to point out that the things for which we are holding our politicians accountable today are absurd enough to make Cronkite roll over in his grave. However; for the sake of the lesson, let’s continue the marijuana example. First, let’s see if we can take a step back from whatever your emotional attachment might be to the stance on marijuana and address the politician in question. This particular politician is a graduate of John Hopkins University with a B.S. degree in electrical engineering. The same graduate earned a Masters in Business Administration from Harvard business school. Second, he runs a multi-billion dollar corporation, donates millions of dollars to philanthropic works, is vocal about women’s rights, and has directly influenced the reform of “social promotion” in schools, which does not serve the students’ best interest; stating that students should only be promoted when they are adequately prepared for the next grade. 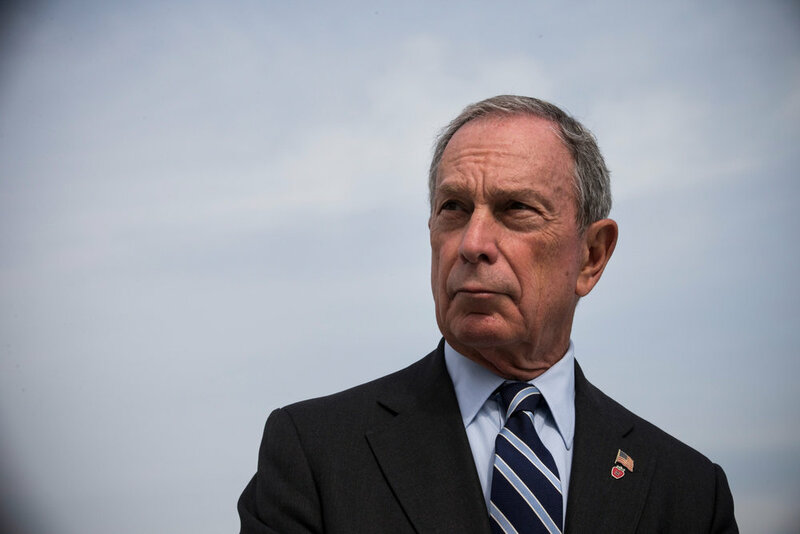 He is also a voice for the awareness of carbon emissions in New York and other major metropolitan cities; forming the New York City Panel on Climate Change to help address just that. Finally, I’d like to try to bring you to my point. It is shameful that we spend taxpayer dollars holding conferences and press releases which are all in the defense of political correctness. Such practices do a stark disservice to people by placing their leaders on pedestals and not allowing them to have a moment of earnest humanity. What troubles me the most about this is that it was clearly coming from a very candid position in the mayor’s mind. Don’t you want your politicians to be human? Now, don’t get me wrong, there are certainly some things in private life which I would rather my politicians not be talking about. I would be concerned if a politician joked about his substance abuse, or his treatment of women, or his longly held reservations about a particular social group. But replace marijuana with just about any other wholesome American pass-time or socially permissible vice, and what do you get? Nothing. The answer is absolutely nothing. The four horsemen don’t appear, the trumpets don’t sound and the sky doesn’t bleed. I find it amazing that we would rather our politicians go on with a pageantry of superficial decorum than have moments of candidness. The fact of the matter is that our treatment of politicians is more reflective of us and the faults in ourselves than those of their own. We elect them based on their appeal to our values. They’re our chosen leaders. So why do we make them into gods? Can you name one religion in which the faithful chose their deity? I think we need to stop the pageantry. I think we need to grow up. I’ve made my peace with my parents in the areas where they disappoint me. I don’t make my politicians pay for my parents’ mistakes. I want the best and brightest humans running my city, state, and country. Those without feet of clay, need not apply.